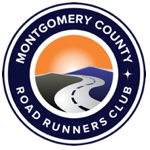 MCRRC is looking for runners to represent our club in local races! Joining teams is a great way to get to know others in the club. If you know of a team race that is not listed here, please contact the team coordinator. Note that some races require a runner to first register as an individual before they can be placed on a team. Team submission requests do NOT grant entries to these races. MCRRC will support club team participation for male/female and open/masters teams with the club paying entry fees up to $50 per team (above individual entry fees). Entry fees over $50 must be approved by the board. All members of official MCRRC teams must be members of the club. A team must have “MCRRC” at the start of the team name to be considered an MCRRC team. All MCRRC teams must be approved and/or created by the team coordinator. Participation in at least three team events qualifies a member to receive an MCRRC racing team premium.